​Arsenal manager Unai Emery has received a welcome boost ahead of Thursday's Europa League clash with Sporting CP with the returns to training of key defenders Nacho Monreal and Sokratis. 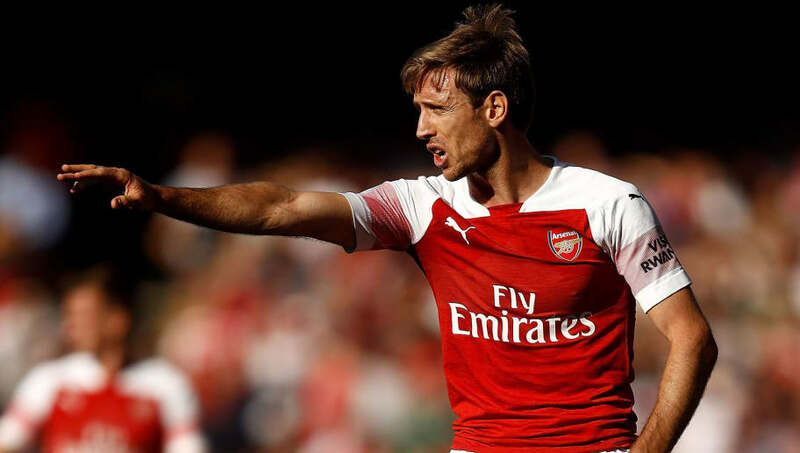 Monreal has been out with a hamstring strain picked up in the Gunners 5-1 win at Fulham on October 7, while Sokratis has been sidelined with an ankle problem. Sokratis, who joined from Borussia Dortmund in the summer, played a full part in training at Arsenal's London Colney base and he could play a part against Sporting CP. Monreal, however, will not be fit enough to participate in a game that Unai Emery is viewing as must win. The Spaniard told his ​pre-match press conference (via ​football.london) that although it is important to wrap up first place in the group as quickly as possible, he will not be taking Sporting CP lightly. "The first mind for us is to finish first in the group. It is a very important match because it is against the second team in the table and if we win we are first in the group. That is our clear target. "They [Sporting] are a team with very good players and also a very good history. They changed the coach but for them it’s a very big match and a very big test in this competition in their thinking about getting the first position against us. "We will go into the game with big respect for them." Emery's side will no doubt look to take advantage of Sporting's decision to sack manager Jose Peseiro following an embarrassing defeat to Estoril in the Portuguese Cup. Youth coach Tiago Fernandes has been placed in temporary charge of first-team affairs.